Like so many I came to Achilles’s Tuesday night workout one sunny day in the summer of 2014 and I have returned ever since. When I came, I did not know that I would meet so many people that are truly inspirational! During my first workout I met Charles and we immediately bonded over our European background, the French language and our competitive nature. OK, OK, Charles’s French is naturally better than mine, and so is his competitiveness, but still … let’s just say we got along well. I have returned ever since, time allowing, running, chatting, performing and coaching with and for Charles. I’ve run in the rain, the snow … I biked on a tandem in arctic temperatures, I was part of a video shoot and so much more. 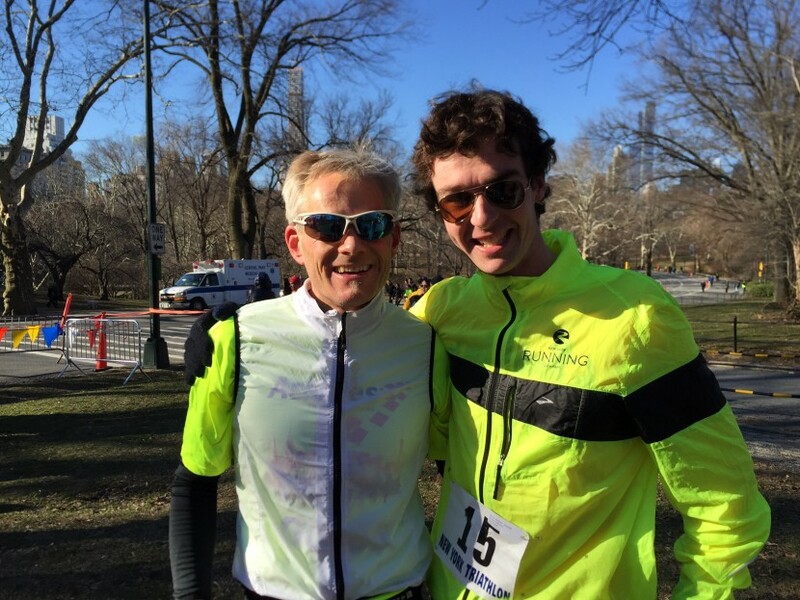 It was only natural that I wanted to support Charles in his quest to compete in the NYC marathon. We have a full summer season ahead of us, and I can’t wait for him to experience the city we live in from the roads that make the NYC marathon.